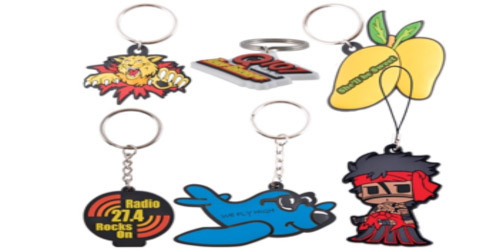 Custom shape keytag and your choice between two fittings. Option of flat, 2D or 3D design and we'll match the PVC to within 10% plus or minus of your Pantone® Colour Choice. For 2 position keytags design must be the same on each side. Custom - Up to 55mm across at widest point.